From the Classroom: Seamus Heaney. Had the privilege of teaching Seamus Heaney’s seminal poem “Mid-Term Break” in my early years in the profession. However really got to know and appreciate the great man’s work when teaching the Advanced Higher class over the last 3 years. Heaney is a genius. Plain and simple, with his poems providing insight on family, nature, culture and identity. However, I was particulalrly drawn to his perspective on “The Troubles”, a period in Northern Irish history of political and religious strife characterised by violence, suspicion and animosity. 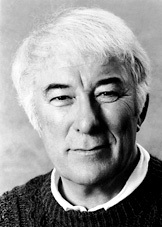 Amongst my favourite Heaney poems are “Funeral Rites”, “The Ministry of Fear”, “Casualty” and “Personal Helicon”. Rest in Peace Chief!